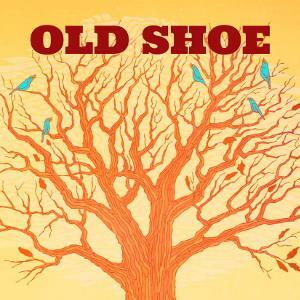 Old Shoe is a five-piece Americana Roots Rock band based out of Chicago, Illinois. Made up of talented songwriters from across the country, hailing from as far away as Alaska, the band’s compositions paint a diverse landscape of American life. The band’s new album Family is not merely another notch in the belt for the Old Shoe, but is more so a poignant culmination of their growth and progress since the last release in 2011. In just a little over two years, Old Shoe solidified their strong lineup with keyboardist/mandolinist/vocalist Joe Day and drummer Greg Fundis, rounded the Midwest festival circuit at high-profile events like Summer Camp and Wakarusa, opened for Grammy-award winning Bruce Hornsby, and even produced 3 consecutive installments of their own festival, Shoe Fest. The all-original 13-track release showcases the band’s diverse influences, ranging from bluegrass to prog-rock to jazz, with it all settling into a familiar comfort zone akin to one’s favorite “old shoe.” The album reaches new heights from previous releases with a star-studded guest roster featuring musicians from the Henhouse Prowlers, The Low Down Brass Band, and Chicago’s production of The Jungle Book.